Find a Boat trip that explores Western Europe. There are 106 tours to choose from, that range in length from 3 days up to 46 days. The most popular month for these tours is August, which has the most tour departures. "Easily the highlight of my European holiday! 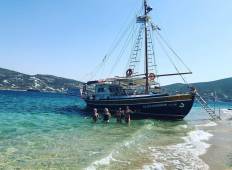 Greek island hopping with a guide as..."